Niall Coleman and Mick Quinn convincingly won the 2016 Mitsubishi Motors Ireland National YC Frostbites, which concluded yesterday (November 12th), scoring six wins out of seven races. Peter Sherry and Michael Cotter placed second with a similarly consistent run of results, and Hugh and Michael Cahill took third place. Full results and picture album below. 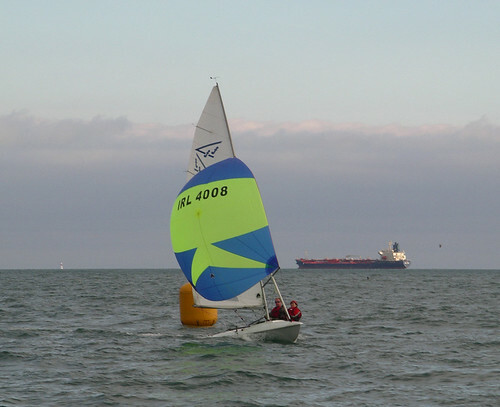 The series, organized by Ian Mathews and his team, finished with three races in ideal winds, after some challenging conditions on previous race days.